Gracie is such a big help around the house, now. 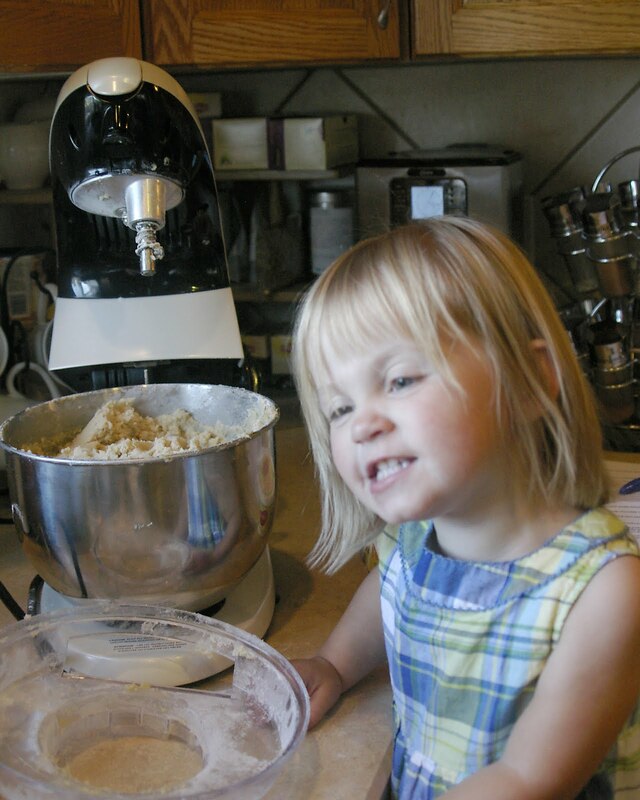 She likes to sweep, help put away dishes from the dishwasher, and now...bake! This makes baking a whole new experience. 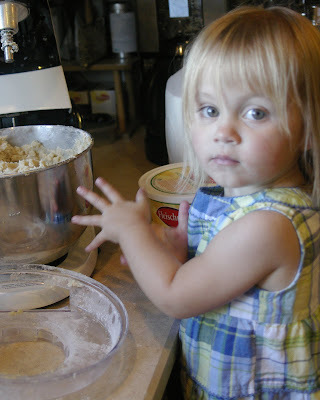 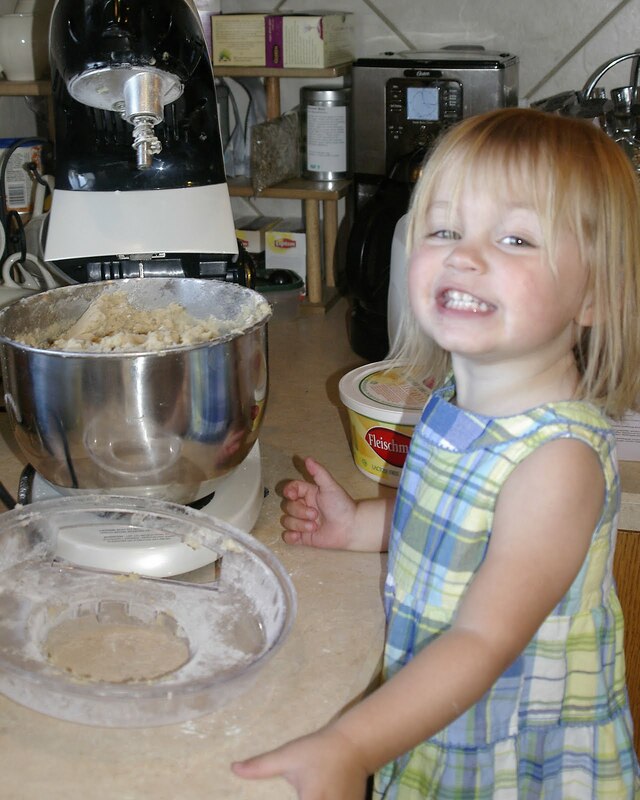 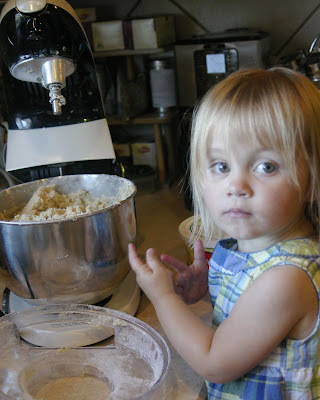 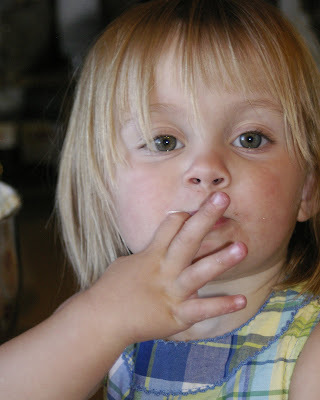 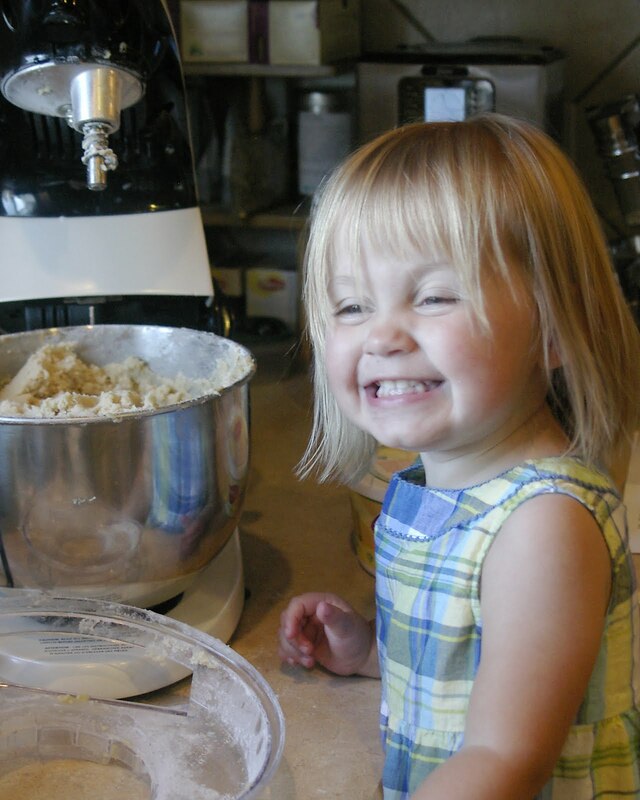 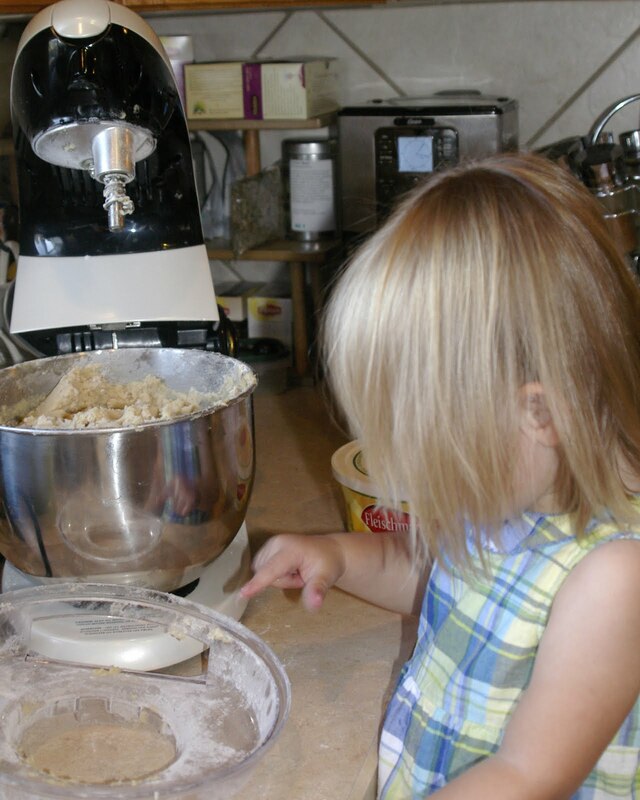 Only one mushroom cloud of flour erupted from the mixer when she turned it on while I consulted the recipe. I consider it a success!